I'm trying to finish up my first mintyPi, and I've seemed to hit a snag. 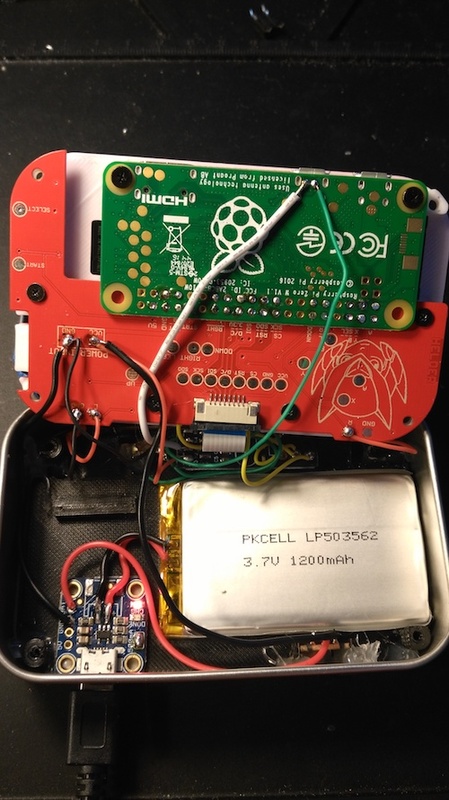 I'm at the point where everything is wired up, and the pi/screen/sound works fine when I plug into the pi itself, but nothing happens when I plug into the usb port on the tin. Do I have everything wired up correctly? I think I wired into the BAT part from the switch, instead of the ground, like mentioned in the video. The charging port LED is red when plugged in, and after a few hours doesn't seem to go green, it doesn't seem to be charging. Any help would be appreciated! Last edited by petran1420 on Mon Aug 14, 2017 9:48 am, edited 1 time in total. A little hard to tell from the picture but everything looks fine (you may want to consider going back and shortening how much exposed wire you have in a few spots though). 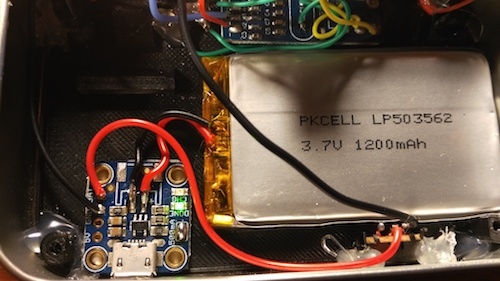 Are you sure your battery isn't just dead? That's happened to a few people. Try just letting it charge for a bit. Are you sure your battery isn't just dead? Are you sure your battery isn't just dead? That's happened to a few people. Try just letting it charge for a bit. I have a black wire coming out of the switch instead of red, just because I had that one soldered on before I knew we were going to use the BAT instead of GND for inline, wiring from the usb port. Its still coming from BAT, even though its a black wire. Once again, I have a black wire instead of red going into the VCC pad, from the power switch. Also I have a purple wire instead of green for the USB setup now, because my white wire was solid core, wasn't bending well and snapped off the sound board. 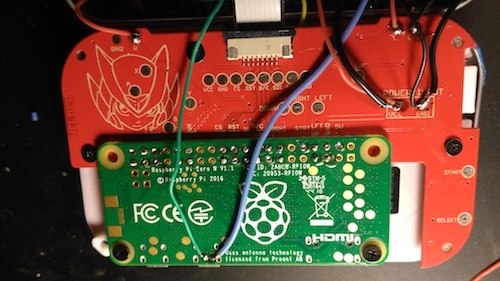 Ok, you've verified that the PCB is getting 4.1v but what about the Pi? Test the voltage on the Pi. Huzzah! That did it. My 5V pin didn't have a good connection to the board. Thanks all! I was helping my brother today on his build and the screen wasn't working, was a bad ground. Then screen didn't show an image so messed with the ribbon and nothing so soldered the screen directly to the board and no go. Finally I decided to recheck his GPIO joints and 2 were bad even though he tested them before. Always double check GPIO joints if things don't work. Yup, All my continuity tests worked in the first go around, so I didn't think to check them again in my debugging process. It was still the culprit though!